I have written before about studies I’ve read that show the best way to take notes as a listener is to listen wholeheartedly and then pause immediately after the message to write down highlights for a few minutes. This is so much better than trying to take notes and therefore always listening with half an ear to what is being said as you also use mental energy on processing the information onto paper. The thing about taking notes is that it usually translates into a desire to primarily capture content. People passionately pursue a record of the points, perhaps listing cross-references and occasionally (if you’re blessed with a good preacher), writing down the main idea of the message. This secretarial quest supposedly then supplies a useful written record for later review and reprocessing of the message in the quietness of private quiet time. What if the goal of preaching is not primarily information transfer? What if preaching is about much more than education? What if preaching is about encountering God in His Word and responding to Him, being transformed by Him, and seeing His Word applied in your life? 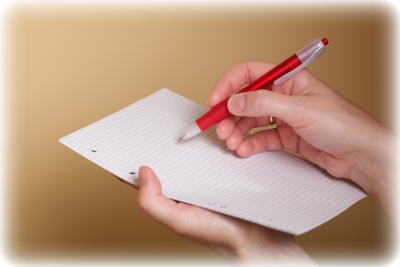 If you must take notes, how about trying this “holistic applicational” approach to note taking? Divide your blank sheet into three equal columns. At the top of each column write A, B, C, or if you’re a doodler, draw a heart, a head and two hands. In the A column make notes on how the message you are hearing is marking your affections, your heart. How is it stirring you to respond to God? How does it make you feel? How are your values and emotions and passions and desires being affected? If there’s nothing to write in this column, see if you can put something in the next column. In the B column make notes on how the message you are hearing is shaping your beliefs, your thinking. How is it informing your worldview? What are you learning about God, about life, and the Bible, etc.? How is your thinking being changed? If there’s nothing to write in this column, see if you can at least put something in the next column. In the C column make notes on how the message you are hearing is guiding your conduct. How is it applicable in your daily life? What practical, tangible, measurable steps can you take in response to this message? How will your life look different from the outside? If there’s nothing to write in this column either, pray for your preacher to recognize that preaching is more than covering familiar ancient territory in an un-engaging manner! Oh, but where can we fit in the informational stuff, the outline, the cross-references? Hopefully your sheet would be either so full that you have no space for it, or so empty because you are genuinely engaged and forget the paper, but in reality I’m sure you’ll squeeze it in somewhere! “We were given two ears but only one mouth. Putting this in google produces all sorts of interesting leads. Afraid I am more of a hearer than a listener, and after at least 6000 sermons in my lifetime so far I am sometimes not even a hearer. I rarely review notes I make as I find that is not the function of my notes. My notes are an attempt to interact with the speaker, to try to anchor the important points in my brain / memory / heart. Kreider & Kreider, “Worship and Mission after Christendom”, advocate interaction. They find it in 1 Corinthians 14. I wonder if most sermons are lost to most of the listeners as there is little chance if any for interaction – either during the service or afterwards. Other books in the “Post-Christendom” series suggest, inter alia, one sermon a month followed by three / four discussion services; or a multivoiced sermon put together by the whole congregation – Interesting ideas. Both assume small congregations, a situation I am familiar with. Does expository preaching have to be a monologue? Have quickly scanned the site for “monologue” and “Q&A” and get the impression that the answer may be yes and no – “Yes” there must be clear declaration and “No”, there should be room for interaction.